Now you can spice up your bathroom time while you wait doing your business. 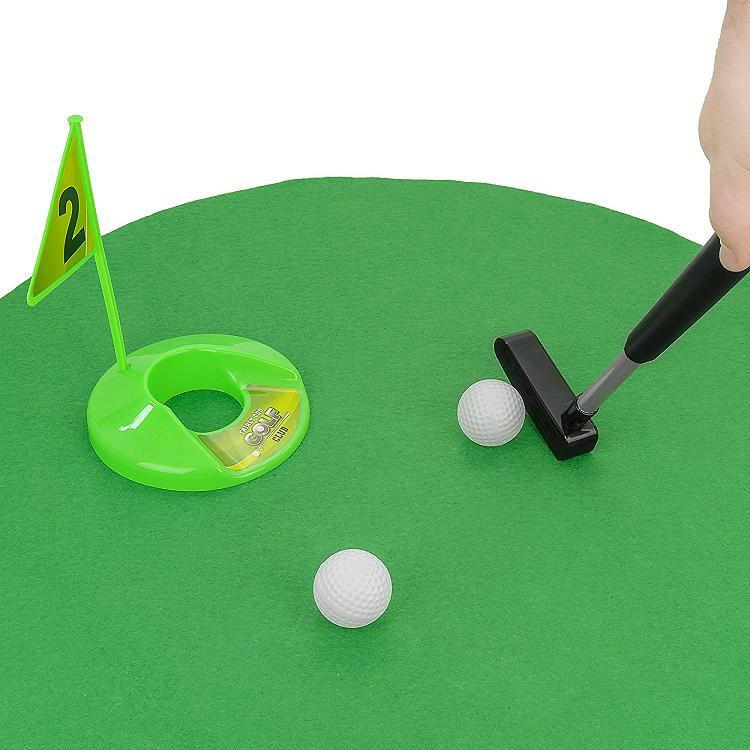 Toilet Puter: Toilet Puter is perfect for those weekend golfers, comes complete with putting green, 2 balls, golfclub, cup with flag, and occupied sign. Buy Now. 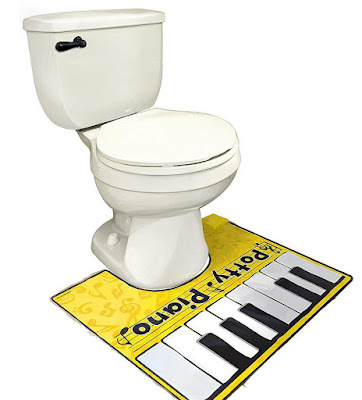 Toilet Piano: Place it around the base of the toilet and play your favorite jingle, comes with a songbook. Buy Now. Bathroom Basketball Toy Set: If you aren't much of a golfer then how about playing basketball right in your bathroom to pass your time? Buy Now. 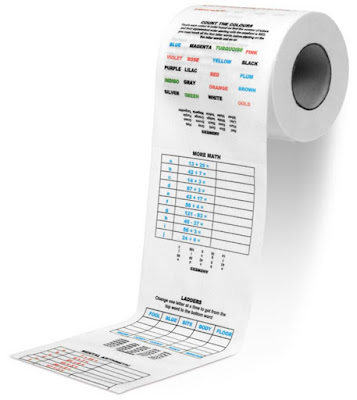 Sudoku Toilet Paper: This creative roll of toilet paper comes with sudoku puzzles imprinted on it. 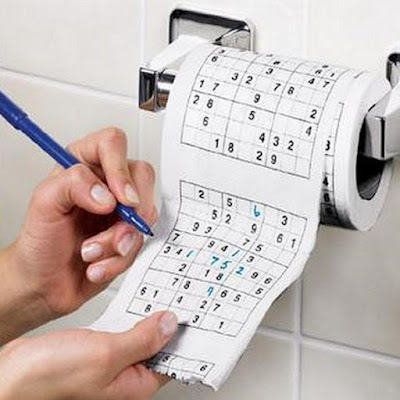 Now while in your toilet, you can have more fun playing sudoku with your toilet paper. Buy Now. Toilet Soccer: Well if you aren't into golf or basketball then how about soccer? Its just perfect for you, lets you practice while you do your business. Buy Now. Mind Trainer Toilet Paper: Each square of the roll is printed with a different puzzle, keeps you preoccupied. Buy Now. 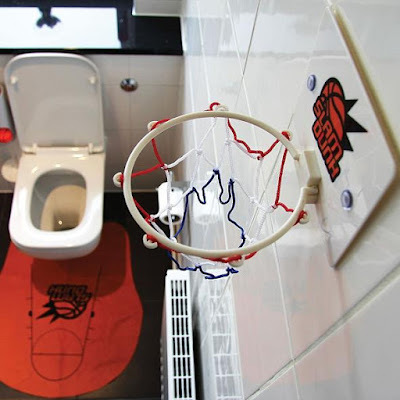 Toilet Fishing: Now if you are interested in fishing we have something for you, Toilet Fishing; it lets you catch some fishes right from your throne while you are busy doing your business. Buy Now. 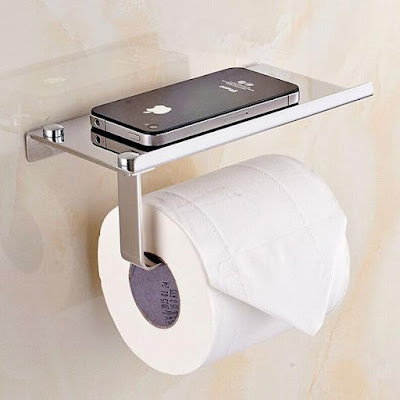 Bathroom Tissueholder with Mobile Phone Storage Shelf: We are so much into our smartphones that we don't even leave it while we are busy using the toilet. And this holder comes with storage shelf, to hold your smartphone. Buy Now. 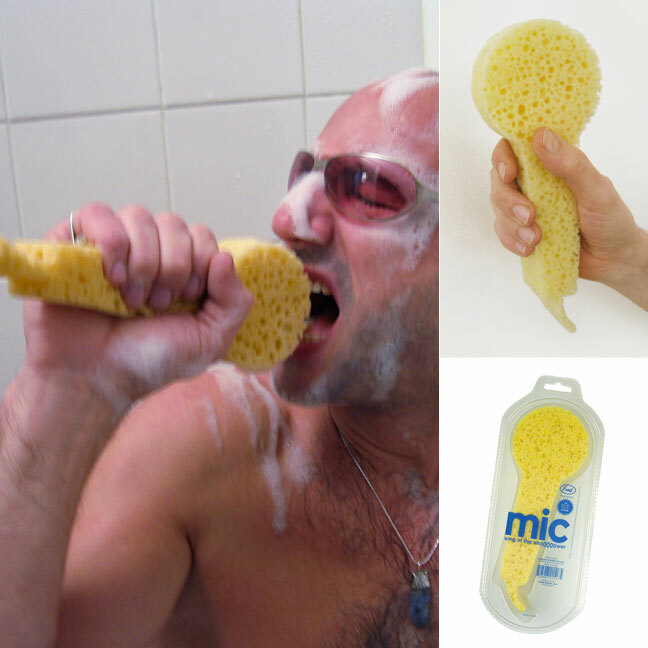 Shower Mic: For those who like singing during their shower but aren't sure to sing in front of others, this is just the thing you need to practice. Buy Now. 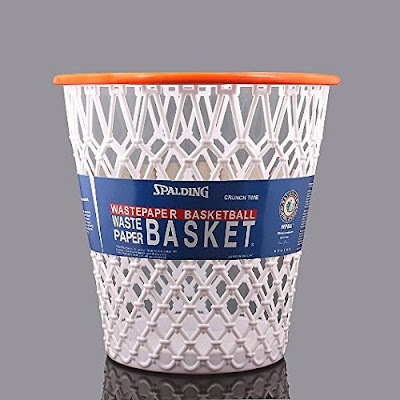 NBA Design Wastebaskett: Place the NBA Design Wastebasket in the corner of your bathroom, crumple up some toilet paper into a ball, and practice…. Buy Now.